Released as a limited edition gift set, the berry collection features a kohl pencil, blusher and lipstick, all packaged together in a festive red box. All 3 products are intensely pigmented and as the name suggests, come in various shades of berry red. For me the star product has to be the true colour lipstick in Cranberry. It looks rather brown in the bullet but applies to give a deep wine colour which I absolutely love! The lipstick has a matte finish but isn't at all drying. The blush in Fenberry gives a nice rosy flush to the cheeks. However it really is very pigmented so I'd recommend using a fluffy brush and applying with a light hand. I'd describe the kohl pencil in Mossberry as a purple toned berry shade. Personally I wouldn't wear this colour as an eyeliner, but it does work well as a lipliner. What do you think about this gift set? 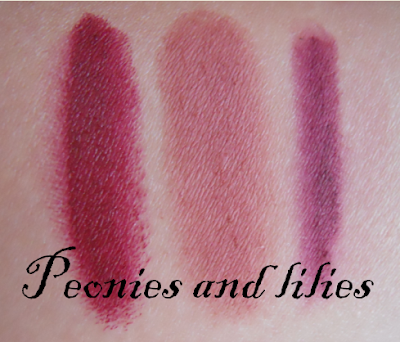 Do you have a lot of berry colours in your make up collection? these are all so gorgeous, i think the blush would make such a good and strong contour colour! gorgeous colours! esp the lippy! These are so nice. I love the Blush! I've never really thought about using these colours other than for lipstick! Like you I highly doubt i'd use the the kohl pencil on my eyes, but as a lip liner it would work perfectly! 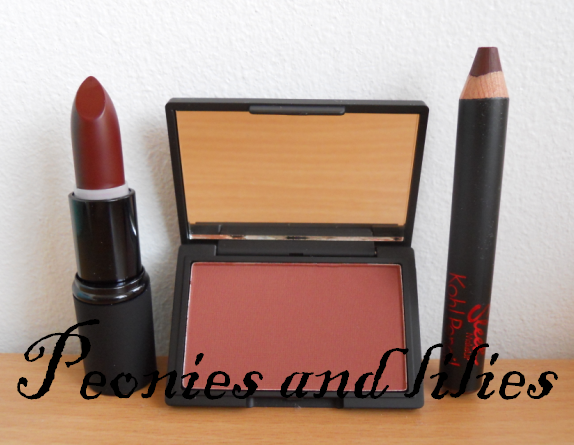 i lurve that dark red lipstick!